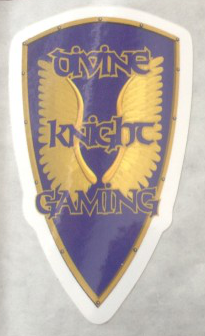 We at Divine Knight Gaming love our tech. We use some great technology to help us make our games and we advocate for any developer to try them out. We have done what we can to advocate for these technologies and have even made some modest contributions to the underlying software. After all that, we were excited for this latest opportunity to support HaxeFlixel. A couple of weeks ago, HaxeFlixel contributor Lars Doucet of Level Up Labs launched a crowdfunding campaign to provide financial support for HaxeFlixel. Using the contributions from this campaign, HaxeFlixel will be able to hire, full time, one of the engine’s founders, Alexander Hohlov, for a full year. His job during that year will be to work on nothing but the HaxeFlixel game engine. The goal was to raise $3,000 and match that with another $3,000 Lars and other developers and founders managed to raise. This $6,000 is enough to hire Alexander, who is a Russian resident, full time for a year providing a raise as well. In a massive show of support, this campaign raised the needed $3,000 in well less than a day. As of today, they are just shy of hitting 200% in contributions. We at Divine Knight Gaming are proud to put in what we can toward that goal. We have backed the campaign for $15, a modest sum. We would have loved to contribute more but are doing what we can with what little we are making at this time. As we become more successful, we hope to be able to provide more meaningful contributions in both time and money. We recommend that anyone interested in indie game developers and the engines they use to consider backing HaxeFlixel. Not only will you ensure that game developers have continued access to a quality game engine, but you also have a chance to score some great indie games upon the completion of the campaign.